Not counting ports, this is the ninth DanceDanceRevolution title simply named "DanceDanceRevolution". This game is referred to as "DDR 2014" by many players to prevent confusion. 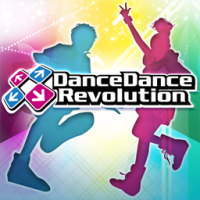 First DanceDanceRevolution game that is released in the form of an online update pushed through the eAMUSEMENT network. The 1 button opens the difficulty and personal best score tab. The 2 button opens the GROOVE RADAR tab which include numbers for stats for the first time since DDRMAX -DanceDanceRevolution 6thMIX-. The 3 button opens the rivals and target score tab. The 4 and 5 buttons open additional information tabs. Usually, these tabs are not available and only appear during select events such as EXTRA ATTACK and YuniverHills project. The difficulty select menu from 4thMIX is reintroduced. A new Clear Lamp system has been introduced, replacing the Clear Marker system first used in X3 VS 2nd MIX. This works similar to Clear Lamps in the beatmania IIDX series. The border surrounding the corresponding song jacket will light up in a color depending on the recorded clear status. A new unlocking system, EXTRA ATTACK, available only during EXTRA STAGE, was added. EXTRA STAGE is now limited to Premium Play. In Japan, Premium Play is PASELI-only. Option GUIDELINES is introduced, which consists of the following: OFF, BORDER, and CENTER. Last DanceDanceRevolution game that can choose song at RANDOM. Last DanceDanceRevolution game that shows animated display of minimum and maximum BPM of a song. x0.25 interval speed modifiers were added, though only up to x2.25. The limit was increased to x3.75 on a later update. The LIFE4 lifebar modifier was added, which gives the player 4 lives before the song is over. Playing with LIFE4 or RISKY gives the player a Result Star whether they pass a song or not, which gives the player easier access to the EXTRA STAGE. Easier access to the EXTRA STAGE can also be obtained when playing VERSUS with both players using Premium Play. DanceEvolution ARCADE, SOUND VOLTEX, and ミライダガッキ FutureTomTom folders were added when sorting by BEMANI series. On June 12th, 2015, the BeatStream folder was added. A new sorting option was introduced, Sorting by Genre (ジャンルから選ぶ). The default genre folders are: Pops (ポップス), Animation & Game (アニメ/ゲーム), and Variety (バラエティ). In 2014, the GUMI 5th Anniversary party and U.M.U×BEMANI folders were added. On March 11th, 2015, the ひなビタ♪ folder was added. A total of 22 songs released during DanceDanceRevolution (2013) from December 19th, 2013 to February 25th, 2014 were retrospectively moved to the DanceDanceRevolution (2014) folder. Included are the 14 songs from the 熱闘！BEMANIスタジアム event, the 5 songs from the TAG生誕祭 event along with Dispersion Star, 星屑のキロク, and 回レ！雪月花. ever snow's and Sacred Oath's jackets were changed to remove NAOKI and jun from them, due to their departure from KONAMI in 2013. All of the system music has been slightly re-arranged from their 2013 versions; now they sound closer to the game's theme song Another Phase. The EDIT data link function was revived on June 6th, 2014. BPM sort was absent until June 23rd, 2014. First DanceDanceRevolution game since DanceDanceRevolution X2 to receive a location test in the U.S. This location test marked the first DanceDanceRevolution game released in the U.S. to officially support eAMUSEMENT. The interface received a near-complete English translation based on the partial translation used in the Korean version. Due to copyright restrictions, 47 songs were missing from the U.S. location test (all of the U.M.U×BEMANI songs, 6 licenses from DanceDanceRevolution (2013), all licenses from DanceDanceRevolution X3 VS 2ndMIX, and all Dancemania licenses in DanceDanceRevolution and DanceDanceRevolution 2ndMIX). RINON returned as a playable character, after being removed in DanceDanceRevolution (2013). eAMUSEMENT support for DanceDanceRevolution (2014) ended on June 30th, 2017. Songs with Shock Arrow CHALLENGE charts are shown with (SA) at the side of their respective CHALLENGE chart ratings. The TAG seitansai (TAG生誕祭) songs (ÆTHER, esrev:eR, and SABER WING (satellite silhouette remix)) that weren't unlocked by players in DanceDanceRevolution (2013) are added to the EXTRA ATTACK folder by default. 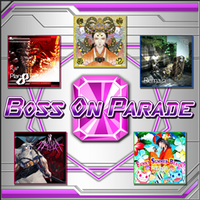 As of July 24th, 2014, it is now possible to unlock the 熱闘！BEMANIスタジアム songs via EXTRA ATTACK. IX's CHALLENGE charts will be available for unlock via EXTRA ATTACK after unlocking its lower difficulties. As of July 23rd, 2015, it is now possible to unlock the 発見！よみがえったBEMANI遺跡 songs via EXTRA ATTACK. JOMANDA's and 嘆きの樹's CHALLENGE charts will be available for unlock via EXTRA ATTACK after unlocking their lower difficulties.